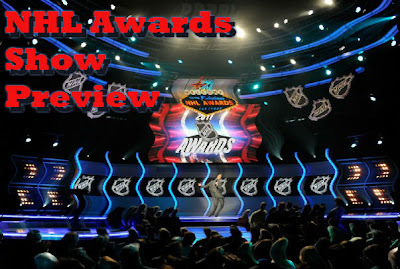 Over the next few days we’ll give you an inside look at who should win and why. Today, the Norris Trophy. This category is possibly the hardest to decide. The award is suppose to go to the defenseman who all season demonstrates the best all-around game. This would include both the play in his team’s own end and the play at the offensive side of the ice. This definition does not make it any easier. All three players had stellar offensive numbers on top of their defensive play. Karlsson was tied for 10th among all skaters, not just defenseman, with 78 points last season, and lead all NHL defenseman in goals (19), assists (59) and points. Big 6’9” Chara, lit the lamp 12 times, eight of those on the power-play, and notched 40 helpers for 52 points last season. He did not shy away from using his big frame, averaged 25 minutes of ice time a game, and lead the Bruins with 166 hits. Chara has been nominated for this award four times before this year, won it once, so you can definitely say Chara is consistent with his play. Weber was just as dominant this year. He tied Karlsson for the lead league among defenseman with 19 goals, ten of those coming on the power-play, and turned out a career-best 49 point season. Weber averaged over 26 minutes of ice time per game, and managed to grab a plus-21 rating, a team best, despite being paired up against the opponent's best on a nightly basis. Now here’s the hard part. 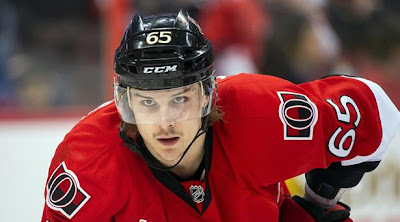 All three players are a nightmare to play against, but Karlsson should win the Norris. Karlsson was probably the main reason the Senators improved from finishing 13th in the Eastern Conference two seasons ago, to eighth and qualifying for the playoffs last season. Some say he hardly plays defense, and is more of a fourth forward, but he lead all defenseman with 67 takeaways, and averaged over 25 minutes of ice time a game. Karlsson wins by a slim margin.